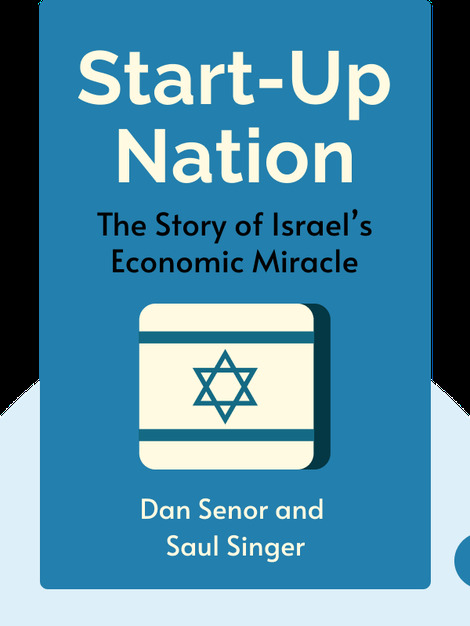 For a small country, Israel punches far above its weight as a global hub of innovation and tech entrepreneurship. 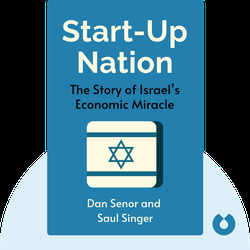 Start-Up Nation explores the country’s history, geopolitics and culture to try and understand where this creative energy comes from, and offers stories of companies that exemplify the distinctive ways in which this drive is channelled. Dan Senor is a writer, political advisor and a senior fellow for Middle East studies at the Council on Foreign Relations. He was chief spokesperson for the Coalition Provisional Authority in Iraq, has travelled extensively in the Middle East, and studied in Israel and at Harvard Business School. He frequently contributes to the Wall Street Journal and has written for the New York Times and Time. Saul Singer is a columnist and former editorial page editor at the Jerusalem Post. He is author of Confronting Jihad: Israel’s Struggle and the World After 9/11. Singer has also written for the Wall Street Journal and the Washington Post.